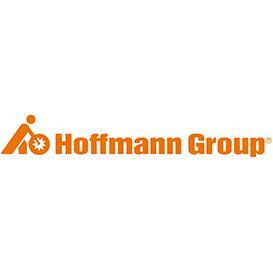 Since it opened for business in 1919, the Hoffmann Group has been helping customers worldwide boost productivity. As it celebrates 100 years in operation, it is continuing to drive progress - as the new GARANT Power Q series shows. Over the past century, Hoffmann has repeatedly reinvented itself, although it continues to be a family-run company to this day. As market conditions have changed, it has continuously adapted, anticipating new developments and establishing innovative products and services along the way. In 2019, as it marks one hundred years in business, the Hoffmann Group is still determined to carry on evolving as a systems partner to industry, while upholding its fundamental principles in the midst of these far-reaching changes. Through its latest product family - the GARANT Power Q - Hoffmann aims to offer even better performance at very high feed rates. The new GARANT Power Q range is suitable for all users who need to perform flexibly across a wide range of milling tasks and achieve extremely high metal removal rates. Thanks to their newly developed geometry, the indexable inserts are stable and deliver high performance. A two-part end face radius and large clearance angles ensure reliable chip evacuation and permit a high feed rate, achieving consistent performance even in deep cavities. The new types of insert are suitable for GARANT Power Q tool carriers with diameters from 16 to 100 millimeters. They are available in three system sizes - XOM.060310, XDM.090416 and XDM.120516 for steel, hardened steel, stainless steel and titanium.